In the year running up to the successful World Rowing Championship regatta held in New Zealand, the RowBox travelled to the worlds big rowing regattas and promoted New Zealand and the event. 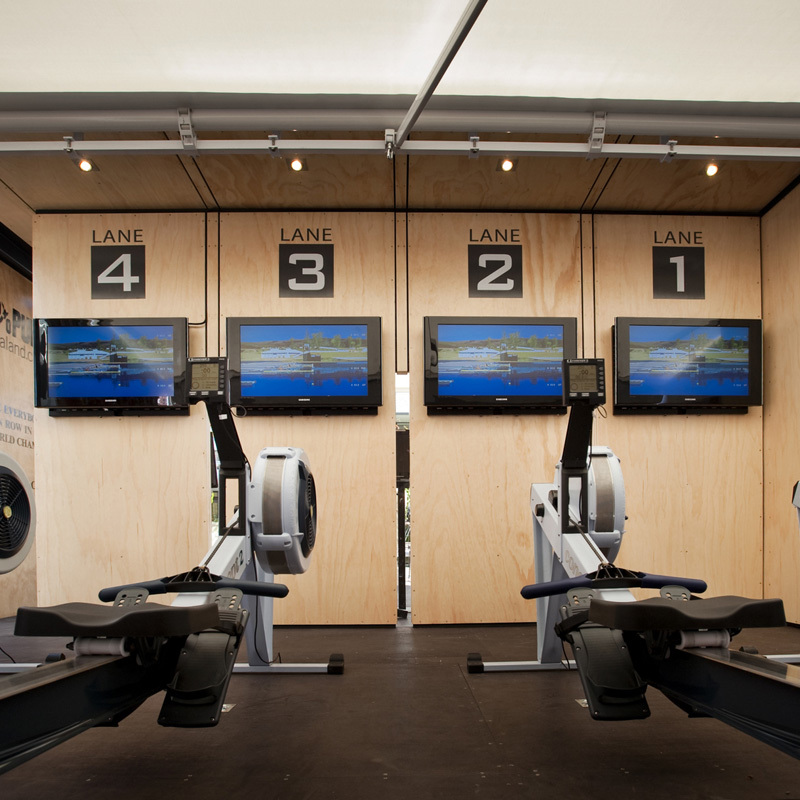 Featuring the opportunity to virtually row the last 250m of the Karapiro course against your friends or indeed the world on one side of the expanding container, with the other side showcasing Tourism New Zealand. After each event, the unit pneumatically closed and was packed up ready for shipping to the next regatta.